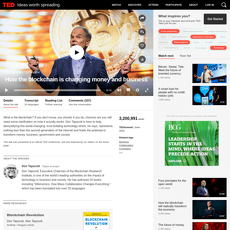 8+ Top Ted Talks Bitcoin & Cryptocurrency - Cryptolinks - The World's Best Cryptocurrency Sites List! Look around you for a moment and you will observe that virtually everything is not the way it used to be. Times have changed as well as the tides too. The mode of operation of all we have around us today has considerably advanced and it is not stopping at getting to higher heights. Evert niche in the world’s system has a new idea that has been added to it which has caused it to grow better and stronger. Well, the financial world is not lacking in this geometric growth and advancement as everything that relates to the financial system itself is going digital. Digital currency has now become the new call of the day and every individual, organization, firm, company, state or country want to all add it to their financial system and prosper with it. The world of digital marketing and cryptocurrency is an ever-expanding world. This is the system that has not only gained recognition but has made itself so popular such that it is becoming almost impossible to do without it. People are trading, companies are investing, enthusiasts are arising and almost everyone, age irrespective, wants to learn more about the digital marketing field and become bosses in it. It is said that the best way to move forward in life is to rest on the shoulders of elders who have trodden that path and who are willing to share the wealth of experience they have gotten with the general public. Cryptolinks have made it pretty easy for the elders, who are worthy of double honor in the digital field to be easily identifiable and identical. This is a platform whose main concern is to have a system always enjoying progress from the large chunk of information gotten about the digital world. It has a whole lot of platforms, channels, and website where the digital system is being taught as well as being talked about. 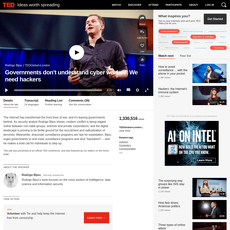 There is, however, this unique compilation that has been done by cryptolinks called Crypto Ted Talks. In virtually all the other platforms that relate to cryptocurrency, you have to read up things online, could be chats, books or articles and you still need to engage yourself in further studying. This is not the case with ted talks though as all you have to do is listen. You listen to the heartfelt expressions from men and women who have not only survived in the digital marketing field but have also made their marks and impacted their world. 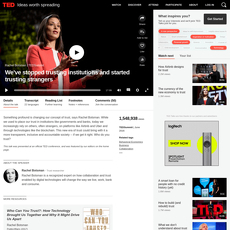 On ted talks, you will have all you need coming from the best of reliable sources. 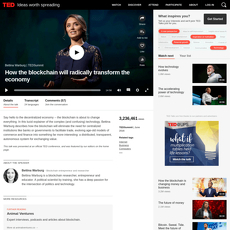 On ted talk, you don’t just get to learn how crypto or digital marketing works but you are also given the opportunity to learn about the economy and how the world’s politics functions. The hearts of these speakers are not only limited to crypto but they also get to discuss and critically analyze the world's economy and where it is tending towards. The politics of the world, in general, are also deeply researched and expressed in spoken words. 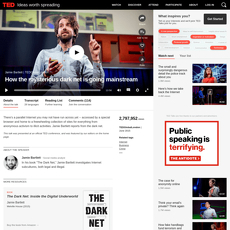 The good news about these ted talk platforms is that it is not only restricted to one particular language as there are up to 24 languages which you can select from for better understanding. This is an edge over other platforms which are only restricted to a particular language and so people from different parts of the world cannot get or enjoy anything from this platform. Many of these ted talk platforms are not just designed for you to listen to what they have to say and then let it go, there are also platforms where you can air your say and also have a heart to heart discussions with top digital marketing researchers all over the world. This helps to a great extent, broaden the horizon of subscribers as they grow more in knowledge by giving to the public and also gaining from it. 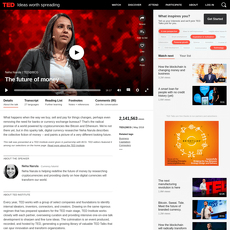 Ted talks is a platform that cannot be taken with levity because of the brightness of its future. 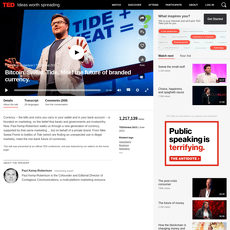 If you really want to learn the history of cryptocurrency, the present state of the market as well as top predictions birthed from the place of in-depth research and analysis, then ted talks are what you should go after. Its uniqueness in delivering all that you want to you without having to study them yourself is indeed a big plus for this platform. 8. 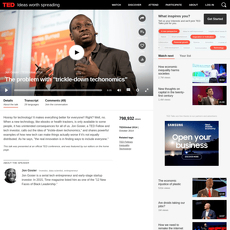 Jon Gosier: The problem with "trickle-down techonomics"